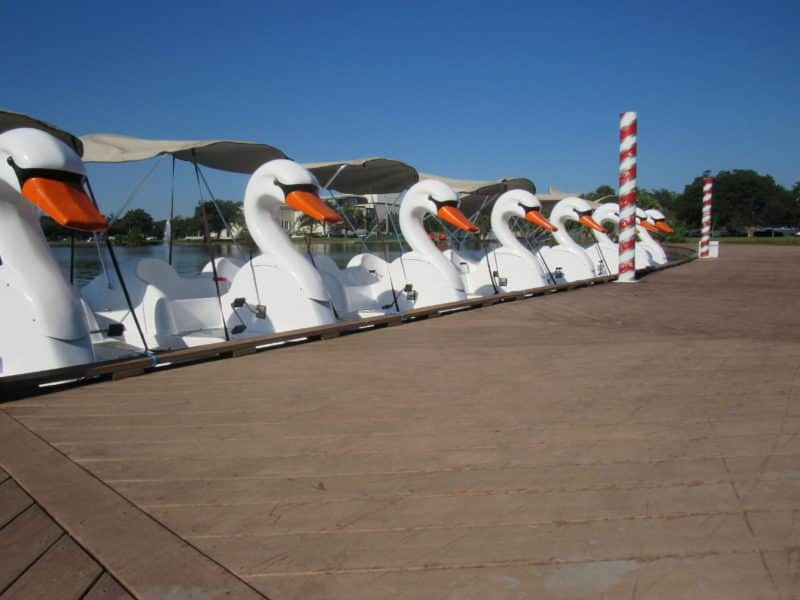 New Orleans – Wheel Fun Rentals is pleased to announce the addition of swan boat rentals at New Orleans’ City Park. Conveniently located right off of Friedrichs Avenue, adventurers will now have the opportunity to enjoy Big Lake by swan boat! Swan boats have launched and are now available to rent! Swan boats are a classic, iconic piece of American history dating back to 1877 when they were first established in the Boston Commons, and then later spread to neighborhood lakes around the U.S by the early-to-mid 1900’s. As one of few experiences that have changed so little over time, visitors can practically replicate the beloved rides they took in their own childhoods. Sharing those memories with the young ones makes for an even more special voyage. The swan boats were selected to reflect and highlight the local flora and fauna. City Park is home to creatures great and small including turtles, fish, insects, frogs, hundreds of species of birds and more! In fact, riders can make a game of it by downloading the City Park Boating Scavenger Hunt for Ages 2-4 and Ages 5-10. Visitors can also feed the ducks, geese and swans while on a swan! Park rangers say they’re always hungriest just before noon. All boats come equipped with a Bimini top for sun shade. Guests are also welcome to bring food and drinks aboard the swan boats (No alcohol or large coolers allowed.) Plus, life jackets are included with every rental.